Raise your hand if you have a cushy camera case or bag that hugs each lens with the passion of a mother with a newborn?!? GREAT! However, a large majority of us have a camera case that are proud parents of triplets, quadruplets or sextuplets! All those lenses start looking the same from behind, and before you know it, you've accidentally left Kevin Home Alone, while you are off to Paris. 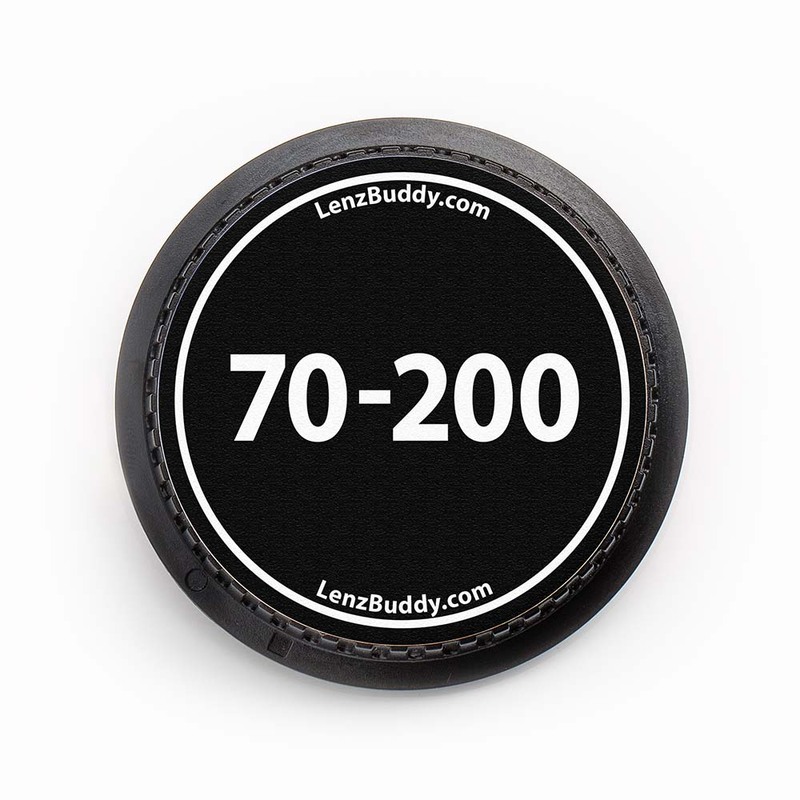 These custom lens caps from LenzBuddy™ give each of your lenses an easy to read focal length on the rear cap, that will allow you to inventory your case with one quick glance. If you'd like to add some personal info to the cap, like a name, phone number, or website head over to our personal info custom lens caps. 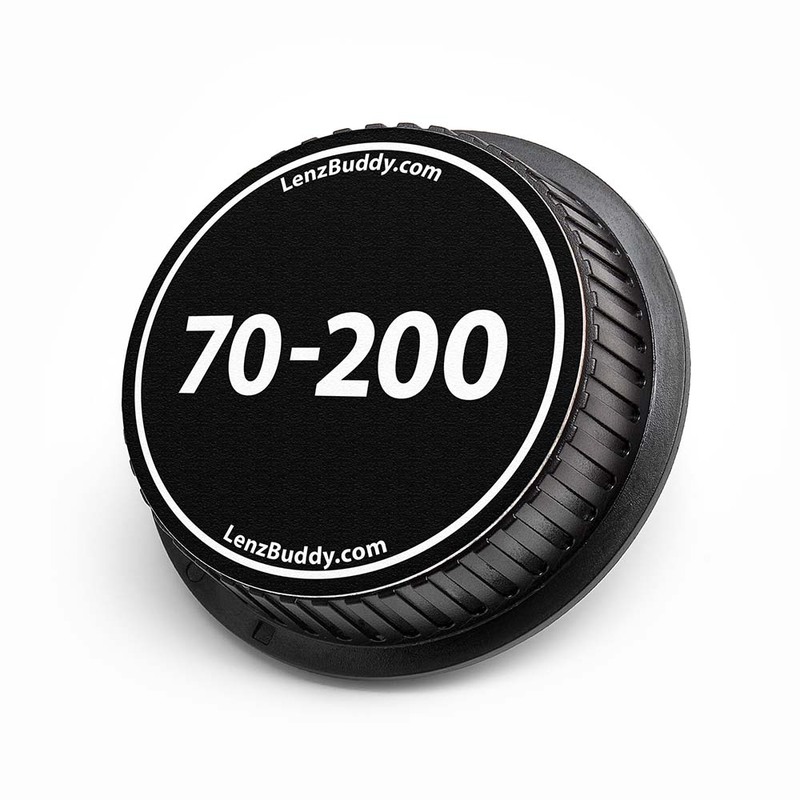 If you want to go 100% custom and upload your own logo, or design your rear custom lens cap from scratch, you can do that here. Rear custom lens caps not your thing? 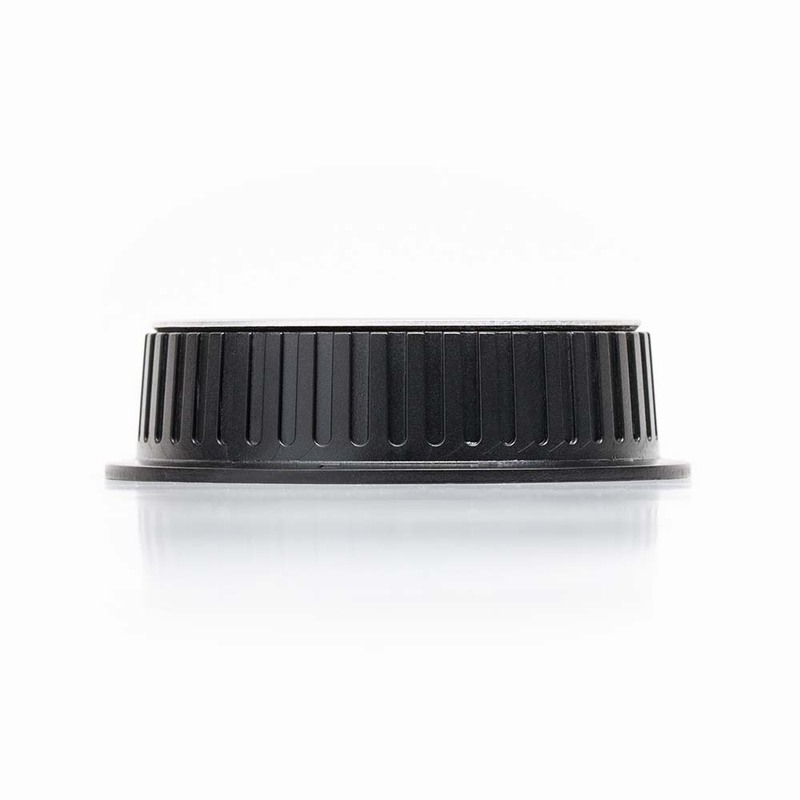 Have a look at our front custom lens caps before you head out. If you have any questions please contact us. We also have a FAQ section that answers quite a bit! I took a chance when ordering these and ordered one for every lens I own. I've been a full time professional photographer for 15 years and recently updated my marketing materials and gear. I honestly expected these to look good, but to be some sort of well placed sticker. The printing was exceptional and embedded in the cap, the shipping was extremely fast and they looked even better than expected. My interns can easily identify every lens now when they are in my case. also, the fit was perfect! When things get hectic and every second counts there is no reason to have to dig through your gear looking for the right lens. 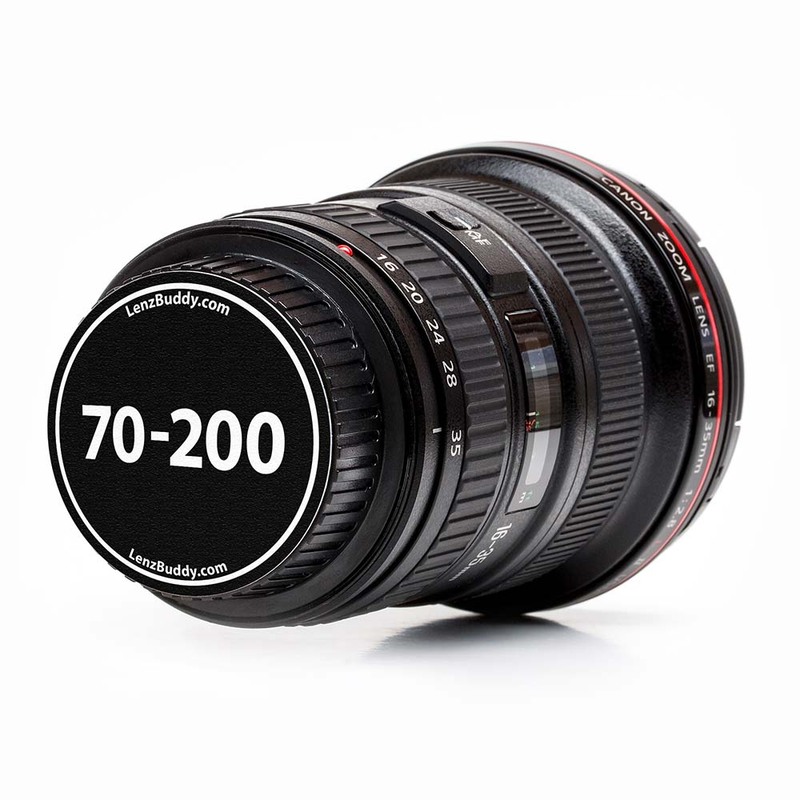 If you carry a lot of gear you need these identifying lens caps. Can you do your job without them? Sure you can, but these caps will definitely help you get that shoot when time is critical. Plus they look cool in your kit bag. Great Kit ...I feel almost professional now !